I love Valentine’s Day! 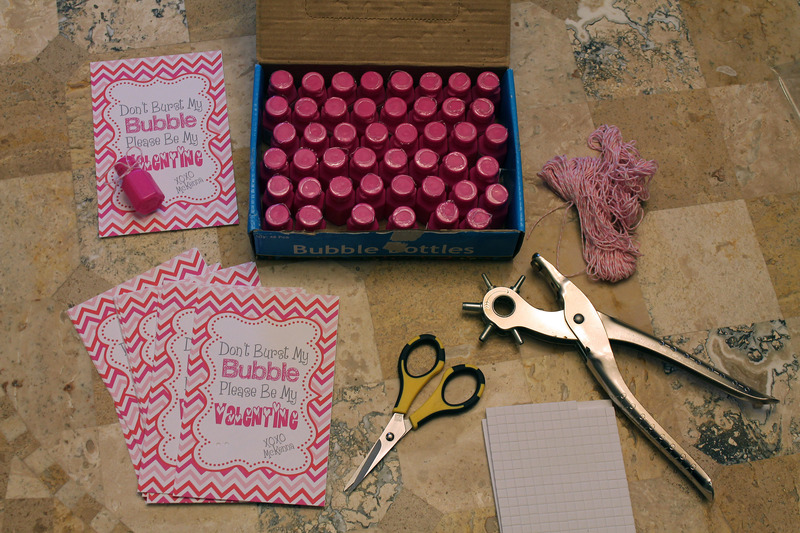 We have our house decorated, we took Valentine’s photos, we made Valentine’s mailboxes with items from Target’s dollar spot (thanks to my friend Renee for the awesome idea) and I already finished making FabDaughter’s Valentines. This year, I asked her if she wanted to hand out bubbles or glow sticks. She chose bubbles and is pretty excited to hand them out. 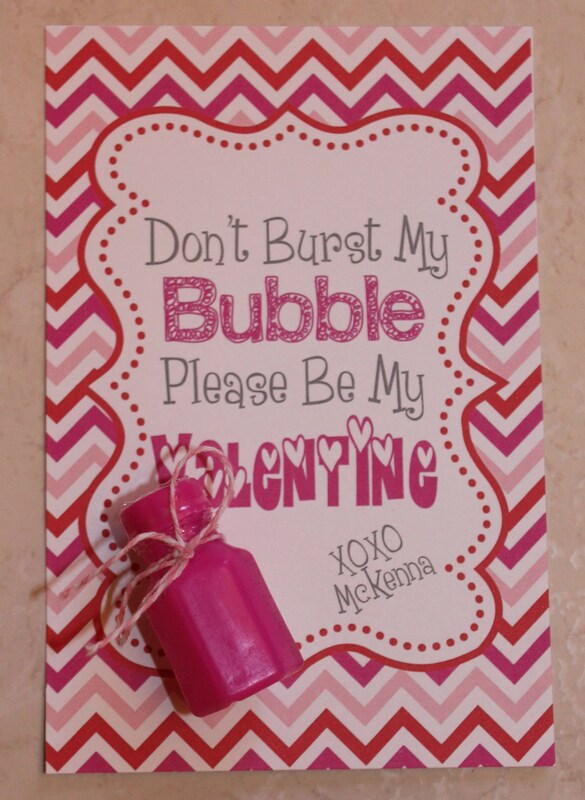 I created her Valentine in Photoshop, printed it out on card stock and attached mini bubbles to the card using glue dots and pink twine. I used my hole punch to punch two small holes on the bottom left hand side in order to attach the bubbles to the card using the twine. Here is the finished product:-) They turned out pretty cute! It’s New Year’s Eve and we are getting ready to pop some champagne and open up our 2013 Memory Jar and reminisce about all the things that happened to us over the past year. 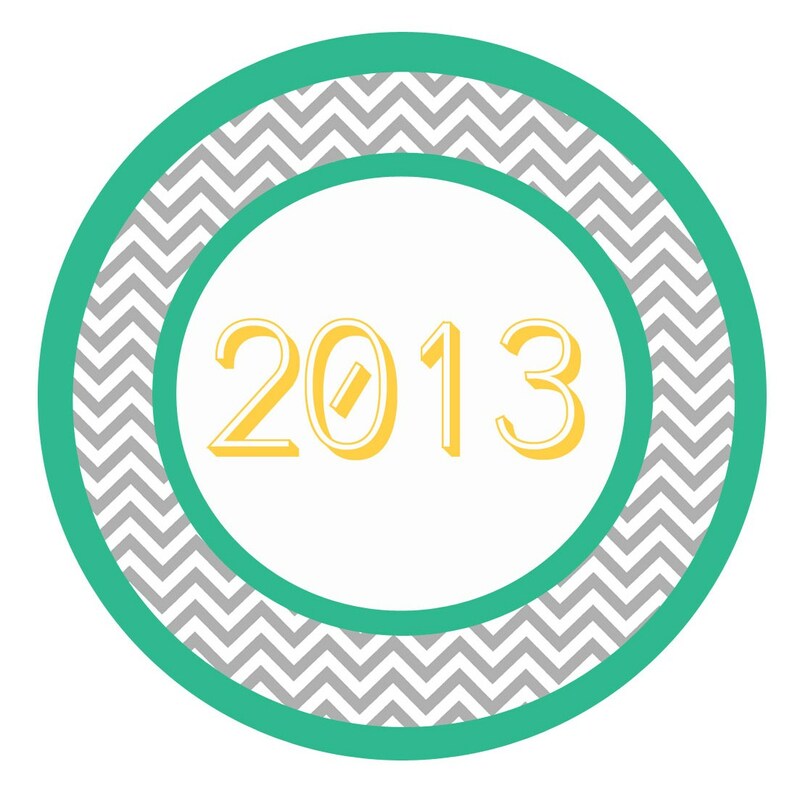 (Here is my post from last year 2013 Memory Jar Printable.) 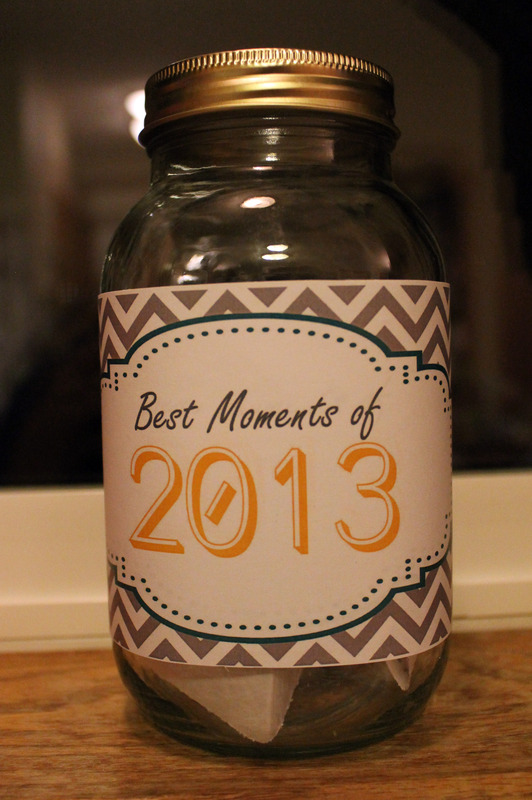 I can’t wait to start our 2014 Memory Jar and document the coming year. If you would like to create your own memory jar you just need a large mason jar (or another large jar) and you can print out the below labels, attach them to your jar and start documenting memories. I use Sweetopia’s sugar cookie recipe. I usually use their royal icing recipe too but I was being lazy and bought a royal icing powder mix at the bulk food store. I also bought candy eyes and neon food colors. I used Pampered Chef’s Decorator Bottle Set to pipe the icing. Get your icing to a toothpaste like consistency and pipe a circle outline on the cookie. Thin out icing to get ready to flood the cookie. (One Tough Cookie has a fabulous tip of using a shpritz bottle to get your royal icing consistency at the right level. I love this tip! I haven’t made the mistake of making my icing too thin since using the spray bottle technique.) Flood cookies. Add a dot of royal icing to the back of your candy eye. 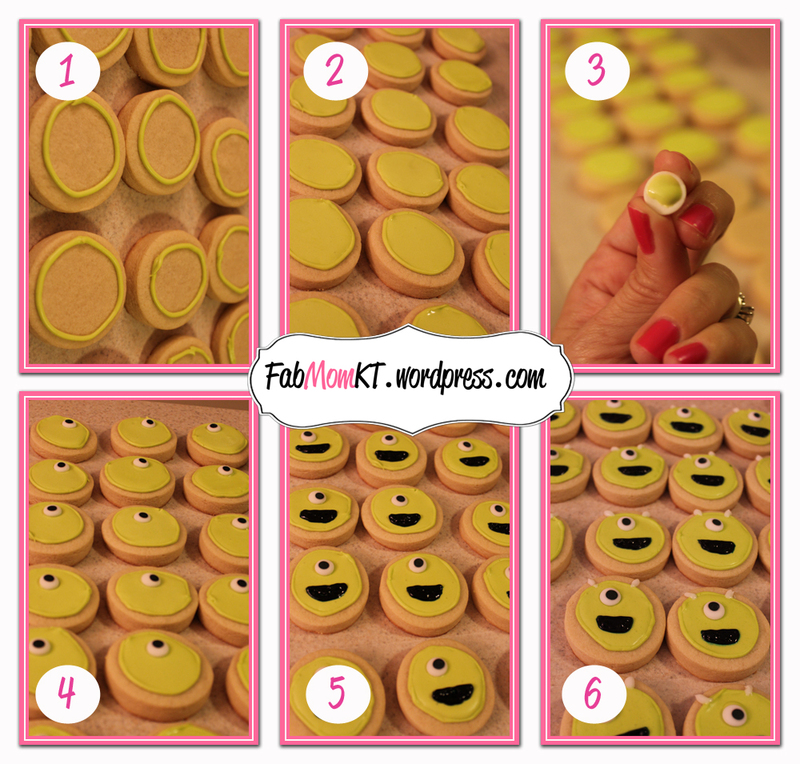 “Glue” your candy eyes onto your cookies. Dye some royal icing black and pipe semi circles underneath the eye to create the mouth. Use uncolored (white) royal icing or dye some grey and pipe two straight lines onto of the cookie to create horns. 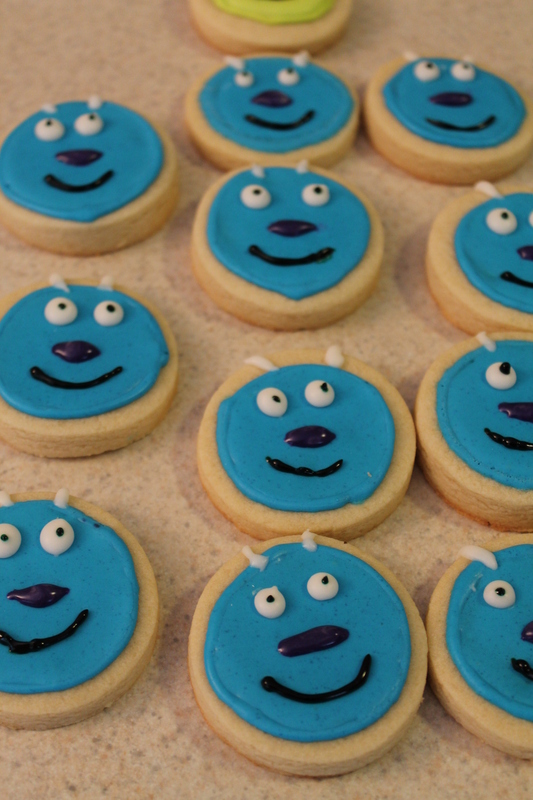 I wasn’t impressed with how the Sully cookies turned, but FabDaughter liked them (and they still tasted great). Unfortunately, we never made it to see Monster’s University but we still watch Monster’s Inc. at home all the time. FabDaughter likes to impersonate Roz when she says “Always watching, Wazowski.” It’s so cute! We’ll definitely pick up Monsters University when it comes out on DVD and I’ll make another batch of cookies. Aren’t these valentine’s the cutest? Do you get it? (“I Mustache” sounds like “I Must Ask” in case you didn’t get it.) FabHubby didn’t get it and said the moustache was silly. Oh well, I think they are adorable. 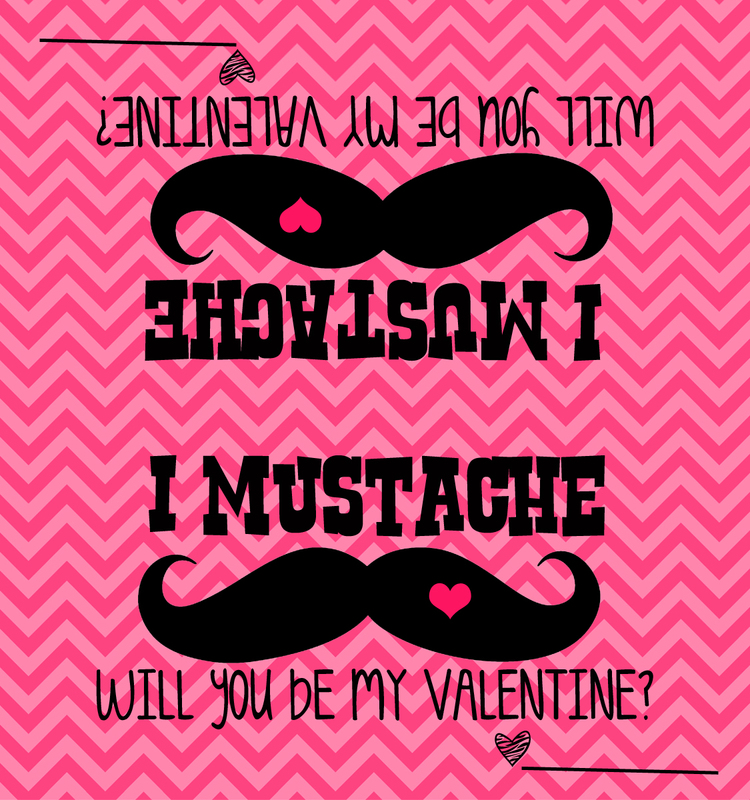 Below are the directions and the files incase you want to make your own “I Moustache” valentines:-) Enjoy! 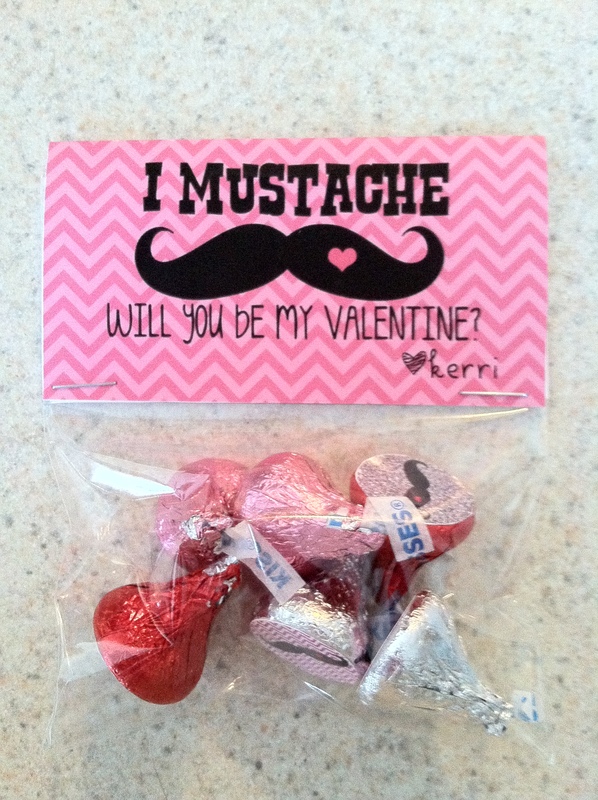 Download “I Moustache” bag topper and Moustache Hershey kiss labels below. 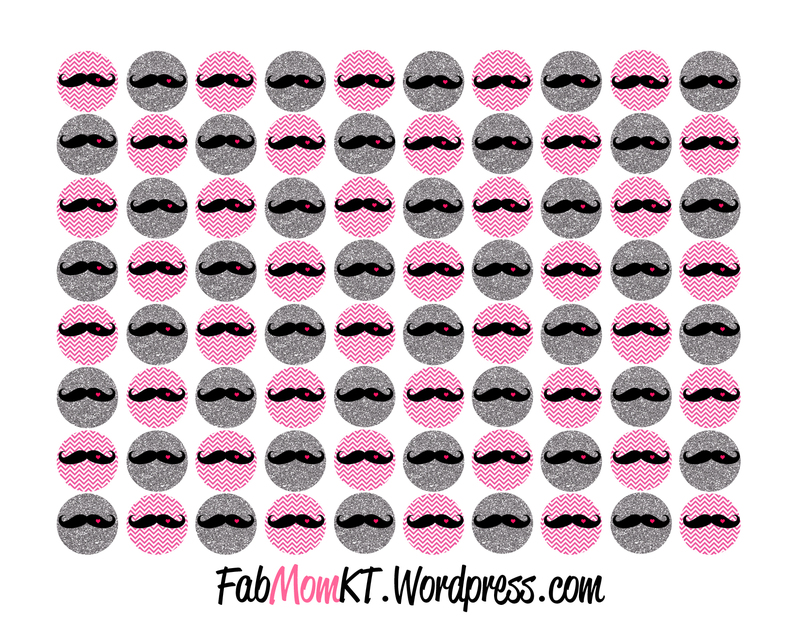 Print out “I Moustache” bag toppers. If you are using 3.75″ x 6″ bags, you can fit two toppers to a page. Print out Hershey kiss stickers. A 3/4″ circle hole punch works great for quickly cutting out the stickers, otherwise you will have to cut each sticker out using scissors. Peal off sticker backing and place on the bottom of a Hershey kiss. Place Hershey kisses in cellophane treat bag (I used 6 per bag). Fold “I Moustache” bag topper and half and place over the top of the cellophane treat bag. Staple at each end to hold in place. FabDaughter loves to help me bake! She loves it even more when we bake for Daddy:-) These cookies are some of FabHubby’s favorite:-) I try not to make them too often since they are very addicting and don’t last too long in our house! Beat peanut butter and butter in large bowl of electric mixer at medium speed until well blended. Beat in brown sugar, baking powder and baking soda until blended. Beat in egg and vanilla until well blended. Beat in flour at low speed just until mixed. Stir in Reese’s cups. Cover and refrigerate 1 hour or until dough is firm. Preheat oven to 375 degrees F. Use large cookie scoop and scoop dough into balls onto large greased cookie sheet. Press dough balls down with the back of a spoon. Bake 10 minutes or until lightly browned. Remove to wire racks and cool completely. Melt chocolate chips in the microwave. Microwave at medium power (50% power) at 30 second intervals, stirring inbetween each interval, until chocolate is melted. Pour into Make ‘n Mold squeeze bottle or a ziplock bag with a tiny hole cut out of the corner and drizzle chocolate over cookies. 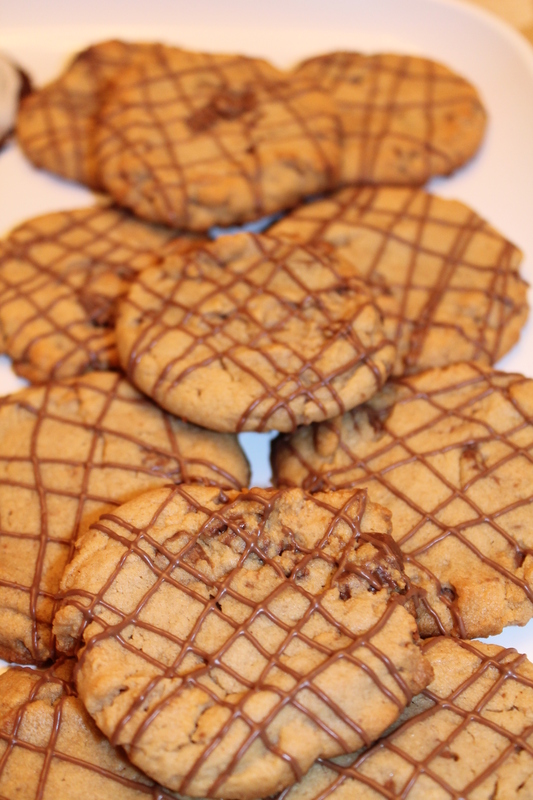 Let cookies sit out until chocolate is set. Stake cookies between layers of waxed paper in container. Store at room tempature up to 1 week. Yield: Depending on the size of your cookie scoop around 20 cookies. 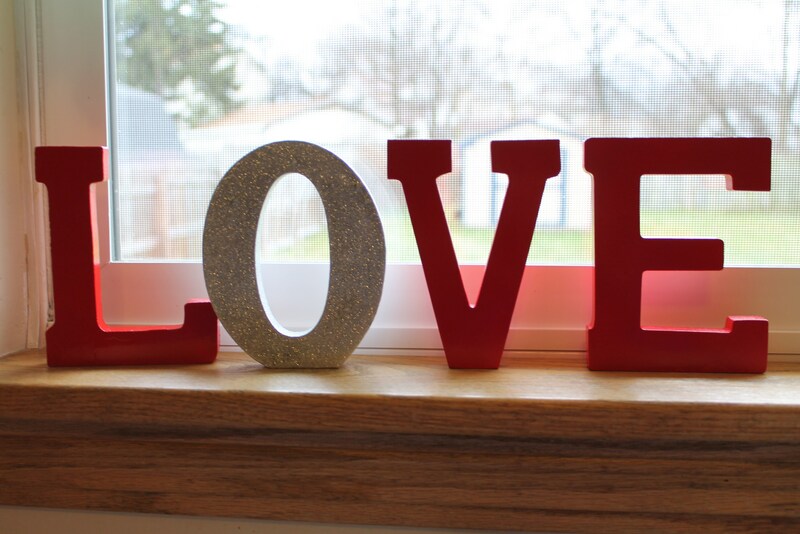 Above are pictures of a couple fast and easy, Pinterest inspired DIY Valentine’s Day decorations I made for our house. I bought all the supplies needed for both the “Family” and “Love” decorations at Michaels. Paint wooden hearts with 2 coats of acrylic paint. Using the letter stickers, spell out “Family” on one heart and then spell out each family member’s name on the other hearts. Or you can use a sharpie and hand write everything. Since I have the handwriting of a kindergartener, I chose to use glitter stickers. Cut a long piece of ribbon and cut the bottom with pinking shears (or scissors). Using a glue gun, attach the ribbon to the back of the “Family” heart and then glue on the remaining hearts under the “Family” heart. Make a bow out of the rest of your ribbon. I used this tutorial. Attach the ends of the bow to the back of the “Family” heart. Hang up on a hook or nail. Lay out newspaper in a well ventalated area. Spray paint your letters. I used 3 coats each. Of course I also have my framed Valentine’s Subway Art and salt dough heart garland up! With busy days and hectic schedules, its easy to lose sight of all the good things that happen in our lives. A memory jar is a creative way to record all of the good things, both big and small, that happen during the year. This year, our family started our first memory jar and we already have a couple memories recorded! 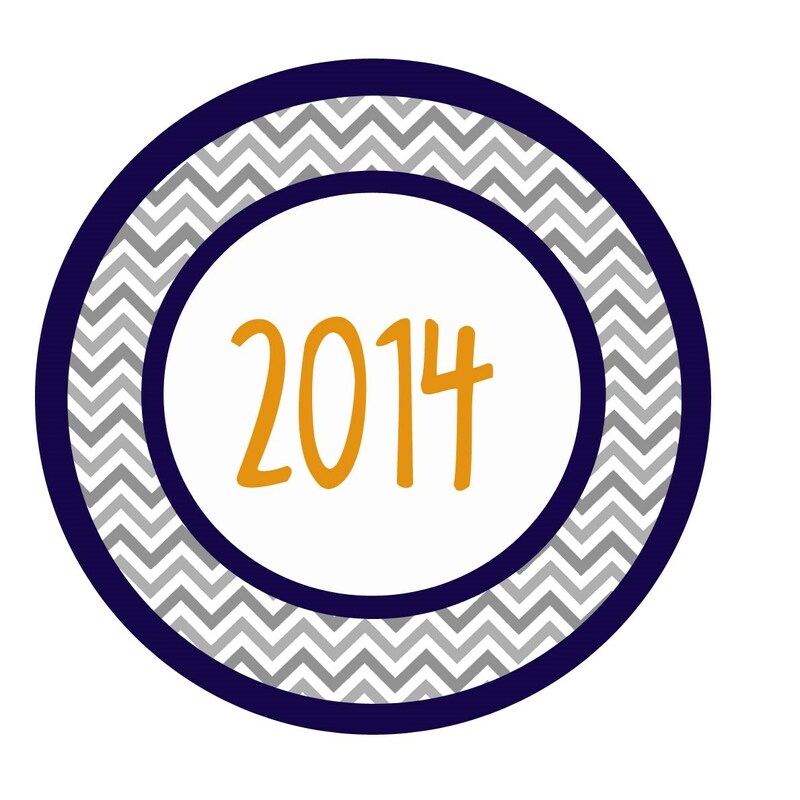 On New Year’s Eve we plan to open our jar, read our memories and reflect back on the year. I used a large mason jar I already had and created decorative labels in PSE for both the front and lid of our jar. The files are below if you would like to print them out for personal use.